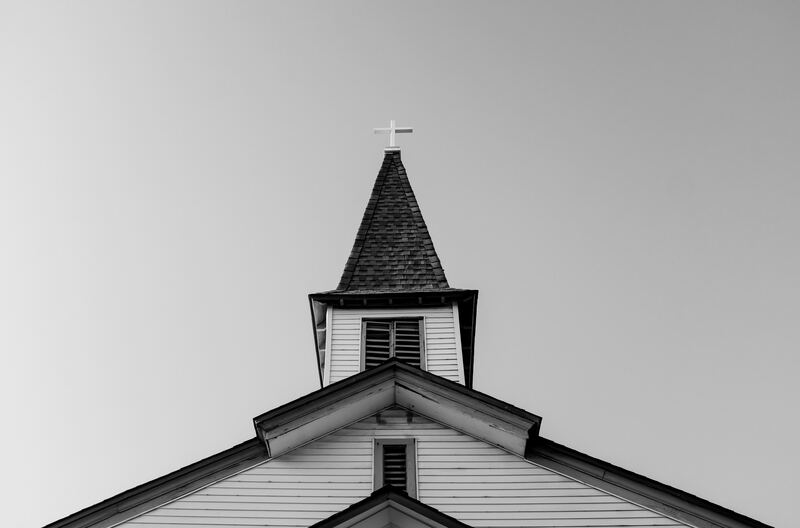 Will The Church Experience Revival or Decline? As we move toward the end of the age, will the Church experience revival or will it experience decline? Usually, the questioner is, in effect, asking whether there will be an increase or a decrease in the number of believers in Christ as we near the end of the age. Revival and decline will occur at the same time. It will not be an either/or situation, but both at the same time—an increase in the number of believers in Christ while, at the same time, there will be a falling away from right doctrine by some professing Christians. Without question, the most prominent of the New Testament scriptures that speak of a falling away before Christ comes again is found in 2 Thessalonians 2:3. The well-known King James Version of this text reads, “Let no man deceive you by any means: for that day [“the day of Christ,” v. 2] shall not come, except there come a falling away first.” This statement alone has caused many to conclude there will be a decline in the number of believers in Christ before He comes again and, working from this supposition, there are other scriptures that seem to affirm this. gave no answer: “When the Son of man cometh, shall he find faith on the earth?” This question followed a parable in which Jesus taught perseverance in prayer, with confidence that God will speedily “avenge his own elect” (v. 7). Jesus’ question implies that the waiting for His second coming might be so long, some will lose faith that God will avenge His own. Later, in His Olivet Discourse, Jesus warned the Twelve, “Many false prophets shall rise, and shall deceive many. And because iniquity [lawlessness] shall abound, the love of many shall wax [grow] cold” (Matt. 24:11-12). Do the scriptures that speak of a falling away, a loss of faith, and a loss of love mean there will be a decline in the number of believers in Christ? Or do these scriptures allow for the possibility that, while the gospel is being proclaimed to all the nations, the number of believers in Christ will continue increasing until He comes again? Jesus plainly stated, “This gospel of the kingdom shall be preached in all the world for a witness unto all nations; and then shall the end come” (Matt. 24:14). However, only God can judge when this goal has been met, and Jesus gave no clue as to how long after this goal has been met that the end will come. When we read of “a falling away,” our first thought is that this means a decrease in the number of believers in Christ. However, it appears this was not what the apostle Paul had in mind. Instead, he was speaking of a falling away from right doctrine. In 2 Thessalonians 2:3, the Greek term for “falling away” is apostasia (apostasy); that is, defection from ortho- dox Christian belief. Also, this was what Paul had in mind when he wrote to Timo- thy: “Now the Spirit speaketh expressly, that in the latter times some shall depart from the faith” (1 Tim. 4:1); and when he wrote, “In the last days perilous times shall come. . . . Evil men and seducers shall wax worse and worse, deceiving, and being deceived” (2 Tim. 3:1, 13). that decline is now spreading to North America. Meanwhile, in Africa, Asia, and South America, the number of Christians is rapidly increasing. The fact is, apostasies and church growth occur side by side, as in Jesus’ parable about the wheat and tares growing together until the harvest comes (see sidebar). Apostasies will continue until Christ comes again, but it is also true that Christ is building His church, and the counsels of hell will “not prevail against it” (Matt. 16:18). Also, the outpouring of the Holy Spirit is promised to all generations, as many as the Lord our God shall call to faith in Christ (see Acts 2:17, 39). James counsels us to expect that, just as the early rain of the Holy Spirit was given to the Church, the latter rain of the Holy Spirit will be given to the Church. Therefore, we are to patiently persevere in serving the Lord Jesus, knowing that His coming is drawing ever nearer (see James 5:7-8). In consideration of these scriptures and the long history of the Church, let us be encouraged to keep on making disciples for Christ. We must not surrender to the thought that, because the end of the age is drawing nearer, there will be an inevitable decline in the number of believers in Christ. Worldwide, the number of Christians is growing; and even in Europe and North America, many churches are experiencing significant growth, adding believers. Until Christ comes, we must continue doing all we can to fulfill the Great Commission, regardless of apostasies and the adverse circumstances in which we may find ourselves. As we continue doing the ministry of Jesus in the power of His Spirit—preaching, teaching, healing, evangelizing, and making disciples—He will build His church, adding to it those He will save (see Acts 2:47). Those He will save will be, finally, “a great multitude, which no man [can] number, of all nations, and kindreds, and people, and tongues” (Rev. 7:9). So, Will There Be Revival? As we move toward the end of the age, will the Church experience revival? Yes! God will continue pouring out His Holy Spirit on the Church, Christ will keep on building the Church, the counsels of hell will not prevail against it, and many believers in Christ will continue to be added to the Church. Will the Church experience decline? Yes, there will be apostasies. Jesus said many will be deceived; and as Jude warned, some will abandon the faith once delivered to the saints, “denying the only Lord God, and our Lord Jesus Christ” (v. 4). In spite of this, the Church will experience revival and growth until Christ comes again.